In this blog we are going to learn how to fix Nuance Dragon software installation issues in Microsoft Windows 7. If you have been facing problem installing Dragon Naturally Speaking. Please follow our article it will give you brief information about how to fix this problem. When you are trying to install nuance dragon software on Microsoft Windows 7, you may get an error on welcome screen. You may not see the next button to click on. This mean your installation is not complete. The “Windows.old” folder is created in the root of the Windows partition and contains the previous operating system file and other personal file. This is one of the reasons, you were getting problem while installing Nuance Dragon Software. There is always a way to fix any problem that you may face with your computer or any kind of software that you’re trying to install in it. to fix this problem you need to go to C Drive. I’m sure you know C drive is place where all your windows software files are being installed. 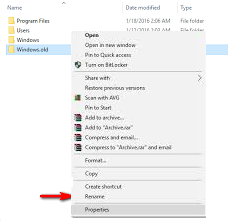 In the C drive, you need to locate “Windows.old” folder. Once you find “windows.old”, you need to rename this folder to “Windows.previous”. Now you need to go back, restart your computer. Once you have computer back on, you need to process the installation of Nuance Dragon Software again. I’m sure this will fix your problem but if you’re still face same problem then that could be other reasons. You can try and read more blogs and try to find solutions. You will need to call Nuance support and they may fix your problem. We also fix these kinds of problems you can always call on our toll-free number and please speak to one of the certified technicians to get your dragon naturally speaking software fixed.